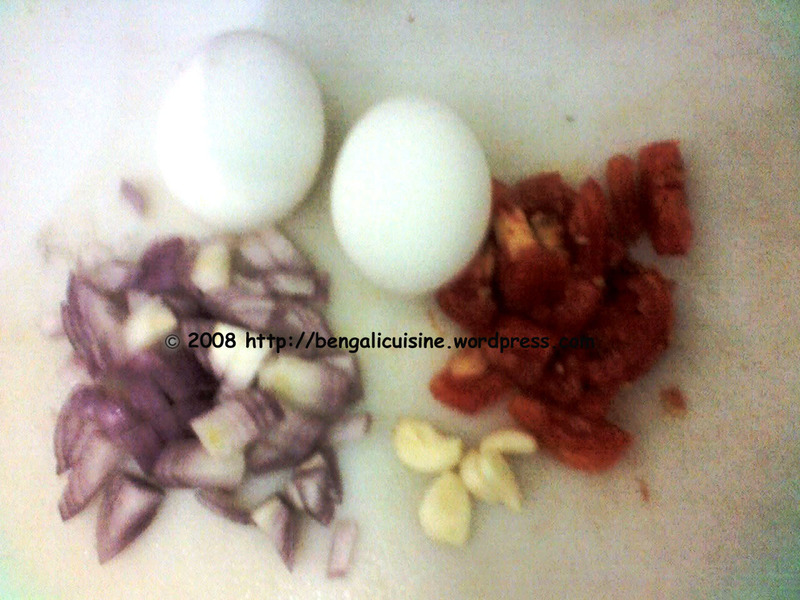 This entry was posted on August 6, 2008 at 9:29 am	and is filed under Egg, snacks. 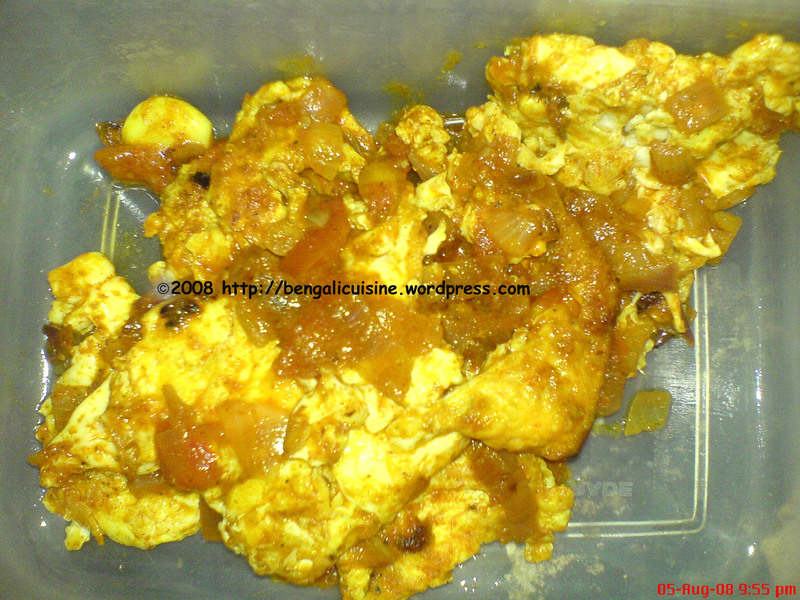 Tagged: bangali ranna, dim tarkari, easy cook egg, Egg, egg curry, garlic, ginger, hot egg, onion, spicy dim, spicy egg, tomato. You can follow any responses to this entry through the RSS 2.0 feed. You can leave a response, or trackback from your own site. Lovely recipe. Eggs are the classic weekday saviour. In Calcutta we always ate dimer dalna with ruti when the masher bajar was running out. Nice Dim Lalbahari :)…Most of us the same problem once in a while :)…and Thanks for stopping by my blog…you can send your entry(s) by 20th Aug, send as many entry as you like and it can be anything including food, any special dish, any rakhi or other things made by U or any memory you like to share.